Once again Fiona Riley has written an amazing book. I relished in the journey of our two leading ladies. The push and pull of the relationship was absolutely delightful. Once I started reading this one there was no putting it down. Hayley Carpenter wants more out of her career, a hell of a lot more. 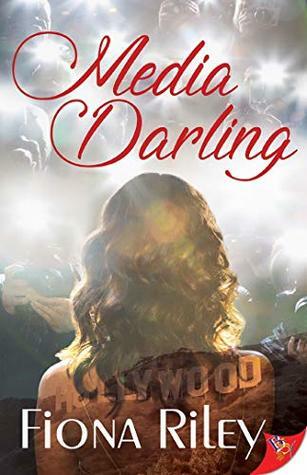 This Ivy League grad has ambitions to be a Hollywood screenwriter but to pay the bills she works as a gossip columnist. She loathes her job! At a red carpet event, Hayley sees an indecent by two of Tinseltown’s leading ladies. This info would be a hot ticket but Hayley is honorable and keeps the info to herself, drawing the attention of Emerson Sterling. Emerson has been a successful actress since childhood. Her dream role is just wrapping, one that will catapult her career to the next leave, but that doesn’t mean her life is peachy. It’s rocky as hell with a mega secret that she long ago buried are threating to leak. After Emerson and Haley meet, Emerson reaches out to Hayley to write the true story about her past and what happened with her ex co-star/lover. The chemistry between these two is fabulous. It pushes the story and is really the touchstone of the book. Riley is a master of weaving a story but always keeping the focus on the prize, the romance. She builds their relationship and lets the sparks fly. A fabulous read filled with chemistry and fabulous dialogue. As always Fiona Riley brings the heat.